Argus Farm Stop at 325 W. Liberty in Ann Arbor and also 1200 Packard in Ann Arbor – Indoor farmers’ markets – open daily with free parking. Our book Get Going with Great Garlic, and bees’ wax lip balms are currently available at both Argus locations. Our honey is currently sold out at the 1200 Packard Rd. location, but more will be coming soon from our winter dead-out hives. Please ask where they are located in each store! Moonwinks Café – 5151 Plymouth Rd., Ann Arbor (in the small historic town of Dixboro, 2 miles east of Ann Arbor) – an exclusive bottling of our local honey is available to purchase daily. Currently sold out, but watch for some coming soon! Since 2010, we have easily sold everything we have grown at farmers’ markets, retail stores, and to small food vendors in SE Michigan, most being within 12 miles of our farm. We are your “deep local” certified organic farmers, focused on nourishing the health of our soil and our local community. 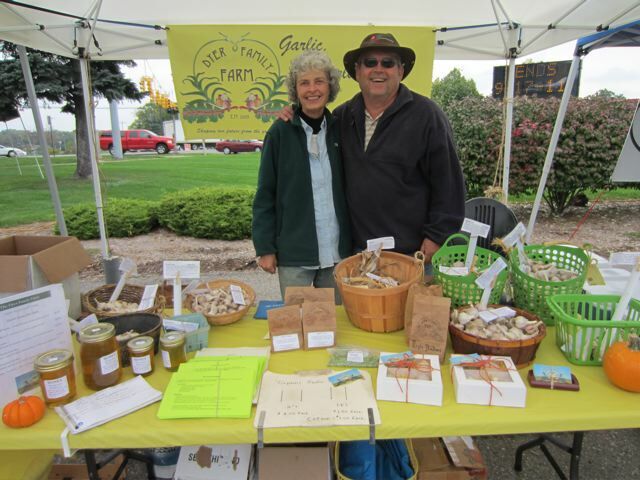 Seed Garlic – All of our garlic is both edible and plantable. Because our garlic is certified organic, none of the garlic has been dipped in bleach, sprayed or treated with synthetic fungicides to prevent sprouting, as is common with store-bought garlic. 2018 – We are 100% sold out of garlic. Period. There will be no more in 2018. In 2017, we made the difficult decision to sell all of our garlic seed stock to many local farmers. We wish them well as they carry on the torch for “all things garlic!”. Our green garlic, garlic scapes, garlic, and/or our honey was purchased by the following food establishments. 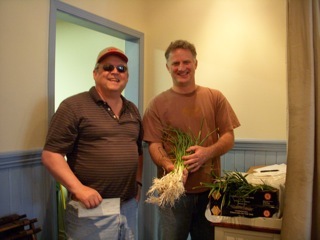 Many thanks for supporting local farmers! Moonwinks Café – Fall 2016, our honey is available for sale here. We loved having discussions with area chefs and small food producers within our local community, one more way we were “nourishing the health of our local community”, which was our over-arching goal and both fun and rewarding for us. The future is local. Good luck everyone!